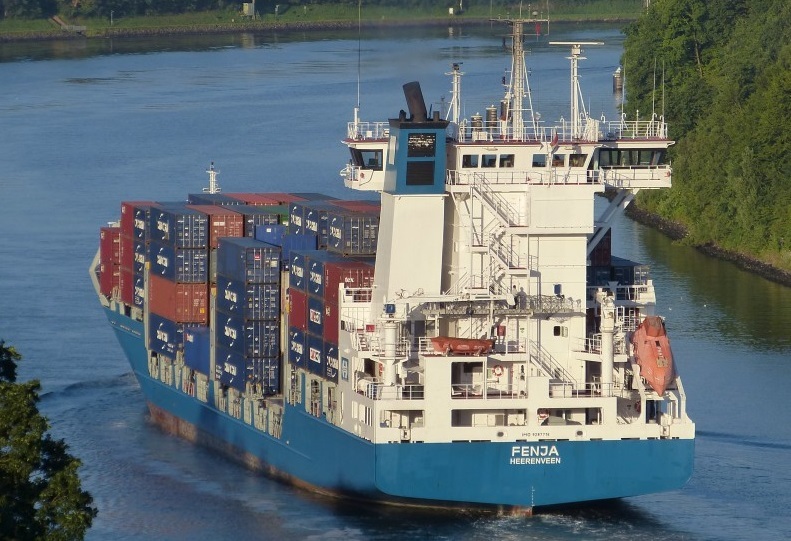 The container ship Fenja collided with passenger sailing vessel at Schinkel during the overtaking maneuver in north-east Kiel Canal. The both vessels were en route to Kiel, but the cargo vessel was proceeding with higher speed and started overtaking of the passenger vessel, but the distance between the both and narrow shipping channel. Following the boards collision, one female on board of the sailing vessel was slightly injured, but both ships remained afloat and proceeded transiting the canal. However, serious material damages of the passenger ship were reported, amounting to five-digit euro area. The container ship Fenja reported the accident to the local authorities and proceeded voyage to Copenhagen. The passenger sailing vessel docked at Kiel for further inspection and survey. The water police found a deficiencies on board of the vessel, as well as missing certificates of the captain and banned the vessel from sailing. The local authorities initiated investigation for the root cause of the accident. There is no report for water pollution. The container ship Fenja (IMO: 9287716) has overall length of 137.00 m, moulded beam of 22.00 m and maximum draft of 7.60 m. The deadweight of the vessel is 8,658 DWT and the gross tonnage is 7,519 GRT. The ship was built in 2003 by JJ SIetas Schiffswerft in Hamburg, Germany.